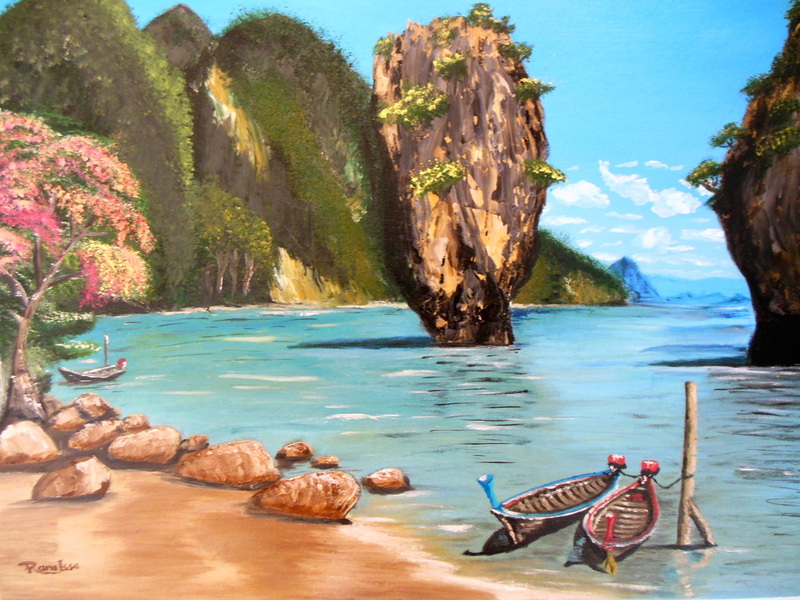 "Fishing trip", oil painting on canvas board,size 20"x16". 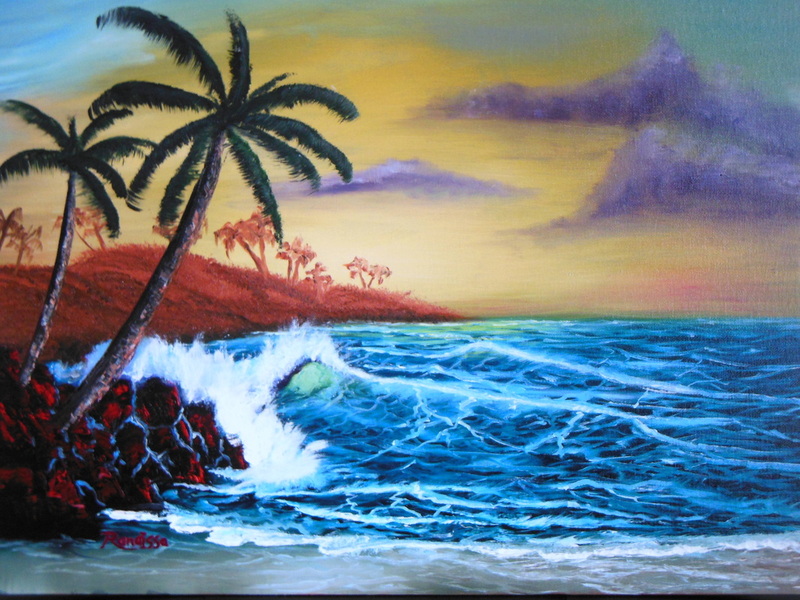 "Ocean breeze ", oil painting on canvas board, size 16"x20". 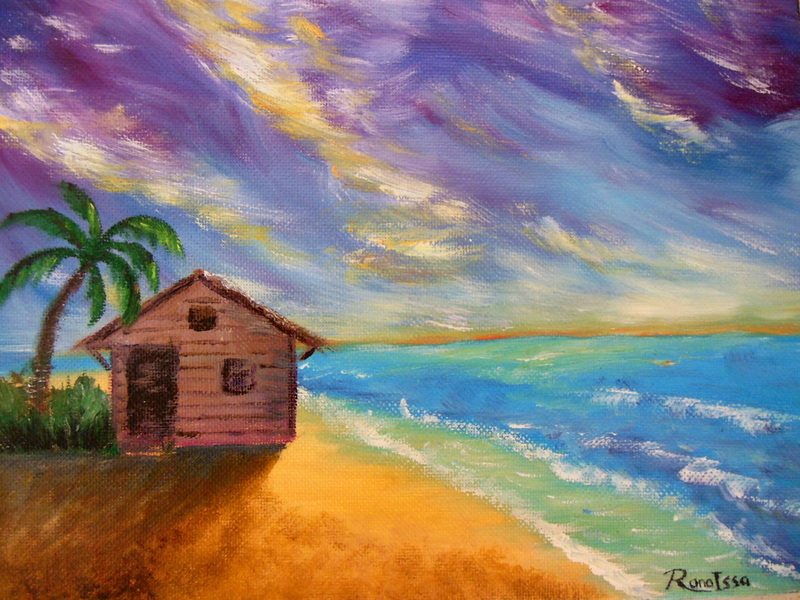 "I will leave alone", acrylic painting on stretched canvas, size 8"x10", sold. "Mountain by the ocean", oil painting on canvas board, size 16"x20". Sold. 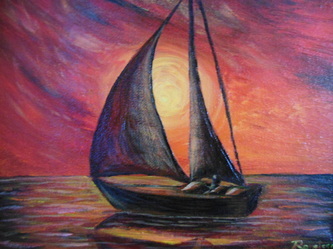 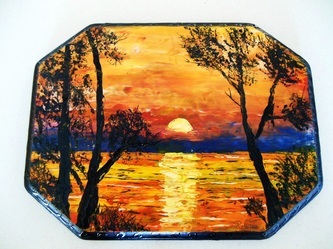 Sunset, oil painting using a palette knife on wood. 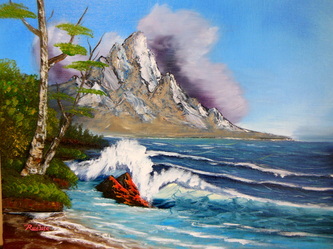 "Stormy day on the ocean", oil painting on stretched canvas, size 8"x10".